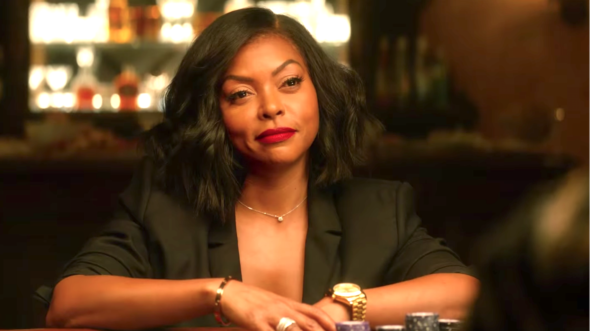 There are a few moments in What Men Want – too few – when the forced caricature of Taraji P. Henson’s character takes a break and some actual acting is allowed up for air. These are nice reminders of how good Henson can be when given the chance. Her latest, a reimagining of the Mel Gibson/Helen Hunt fantasy from nearly 20 years ago, badly needs the confidence in its actors that elevated the original film. What Women Want was shallow, sure, but it had sense enough to trust what its leads could do with the material. This time, a woman is blessed/cursed with the power to hear the inner thoughts of men. Sports agent Ali (Henson) gets that power after an unexpected visit with a strange psychic (Erykah Badu in a weirdly effective cameo), only the first of many convoluted and hastily-assembled situations the film trots out ad nauseum. Director Adam Shankman can find none of the authentic energy that infused his effervescent take on Hairspray, settling instead for a laziness that has little regard for continuity, logic or organic humor. Ali’s father (Richard Roundtree, nice to see you) comments on scenes he wasn’t part of, one-sided phone conversations appear just slightly more authentic than holding a thumb and pinky up to your face, and what could have been fertile comic ground musters only big-eyebrowed mugging and histrionics. Ali’s thought-reading could be a vehicle for edgy takes on sexual politics, boys club boardrooms and any number of sexist double standards. But the inner thoughts Ali hears offer more boredom than bite, with the team of screenwriters racing past any possibilities for an effective character arc on their way to the next used condom gag. A scene-stealing Tracy Morgan and a surprising Brian Bosworth improve a supporting ensemble that sports plenty of weak spots surrounding Taraji P. She over-compensates with desperate attempts to pull everyone to the finish line, which doesn’t come quite soon enough.